Well, this could save numerous trips to the recycling center as well as to the supermarket. 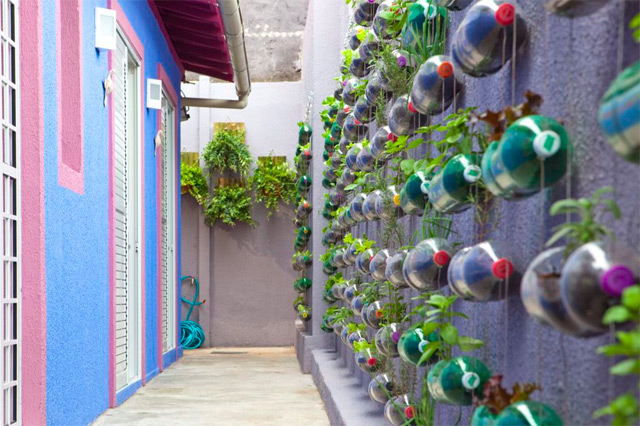 Such a simple, elegant solution to urban gardening, something that is do-it-yourself and requires no land. 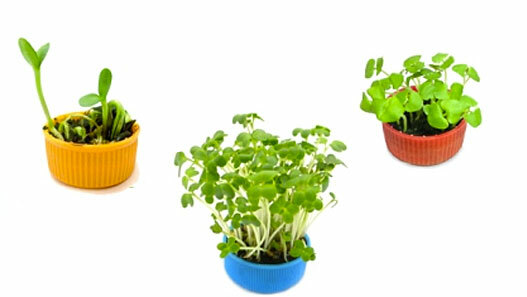 The materials are readily accessible, the soil requirements are minimal. 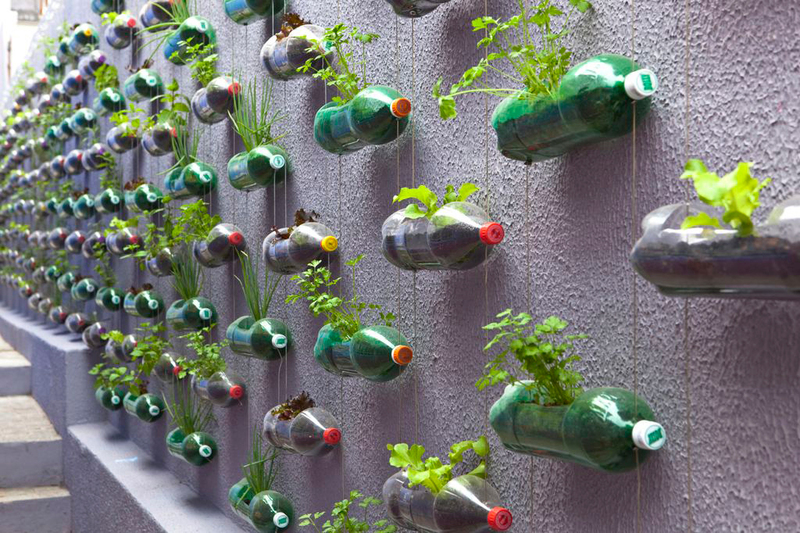 Even the tutorial offered by the Brazilian design firm that originated this vertical garden is simple and elegant. 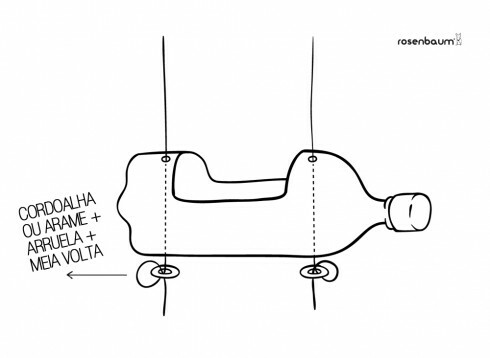 I haven’t tried this myself, but I suppose the planting bottles drain out the suspension holes at the bottom. Certainly bottle color and size could be varied. There are so many things to like about this, but what I would really like to see is what the garden looks like once it is mature. I imagine a wall of sweet pea plants would look very fine indeed. Looking at this, if a gardener wanted to make efficient use of water. a drip watering system could be installed along the suspension wires to avoid waste and minimize exposure of the supporting wall to water damage. And to anyone thinking of doing this themselves, I would encourage them to plant seeds bought from independent seed companies, or bought locally from nurseries. This would be a lovely way to support local seed varieties and producers. It’s even a way to feed and support pollinators like bees in an urban environment, provided that some flowering plants are included. Finally, there’s this miniature version for any stray caps left over from all the bottle cutting. I love these – so stylist and surprisingly elegant! I have to try them!